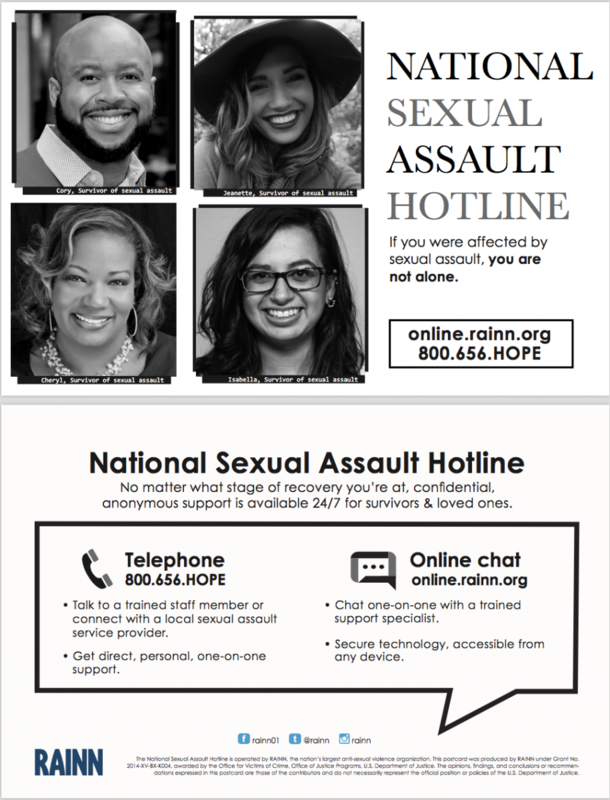 Download print designs for use in your next event. 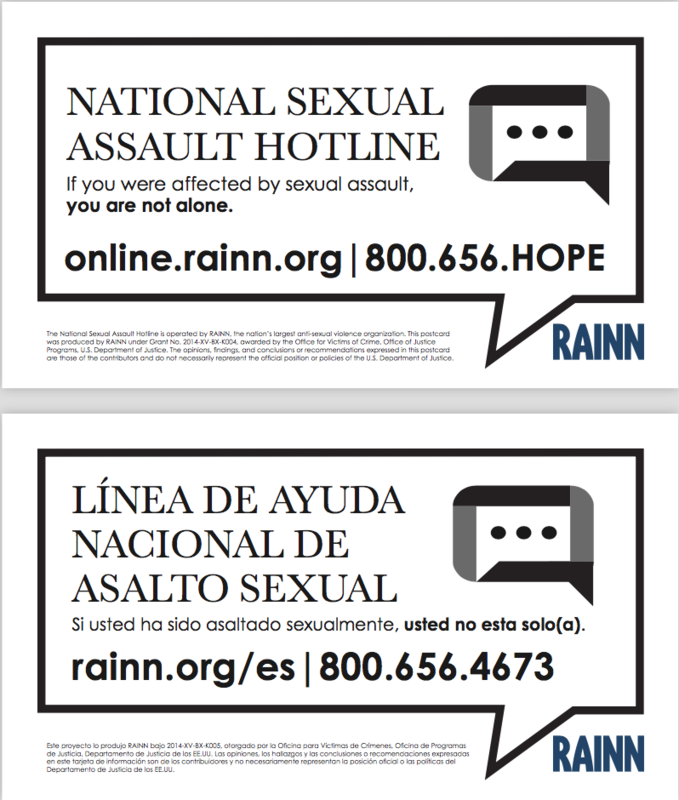 Choose from handouts or posters. 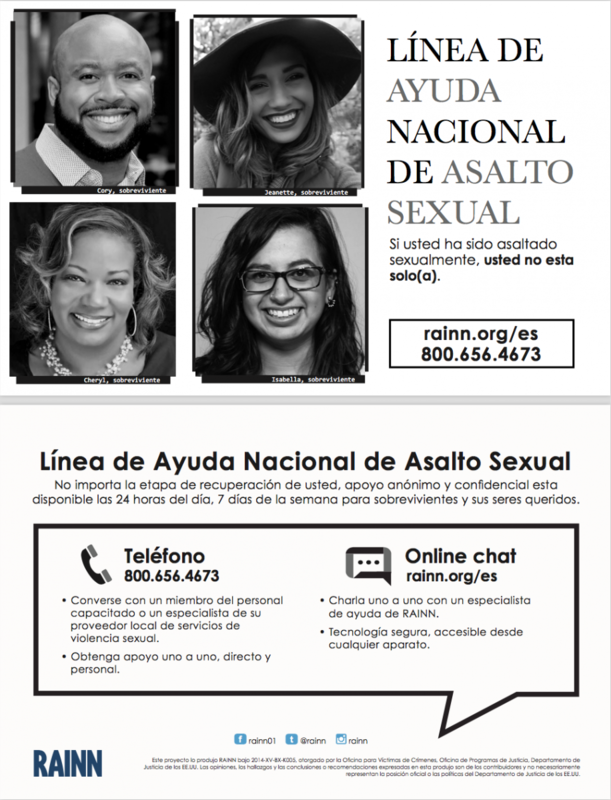 To order free print materials in English and en español, click here. 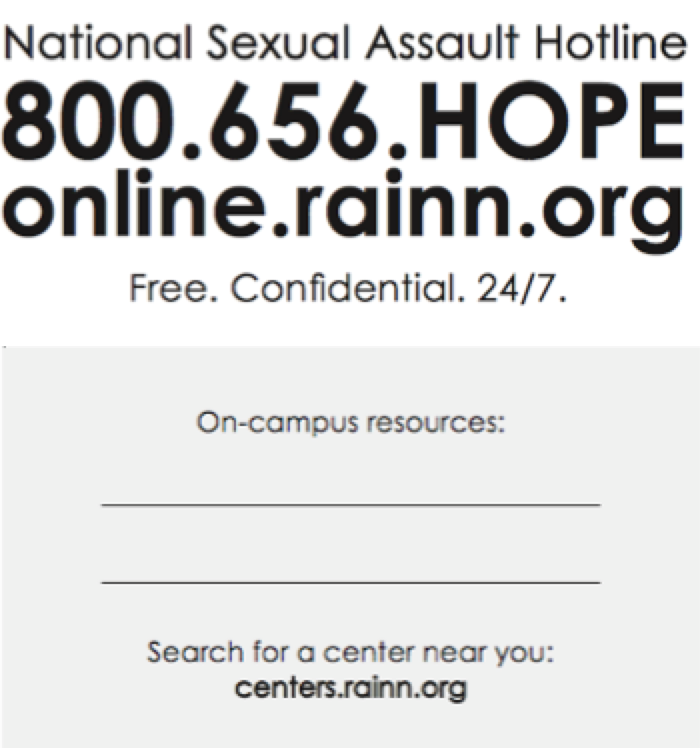 One-pager with tips and resources on how to help loved ones affected by sexual violence. 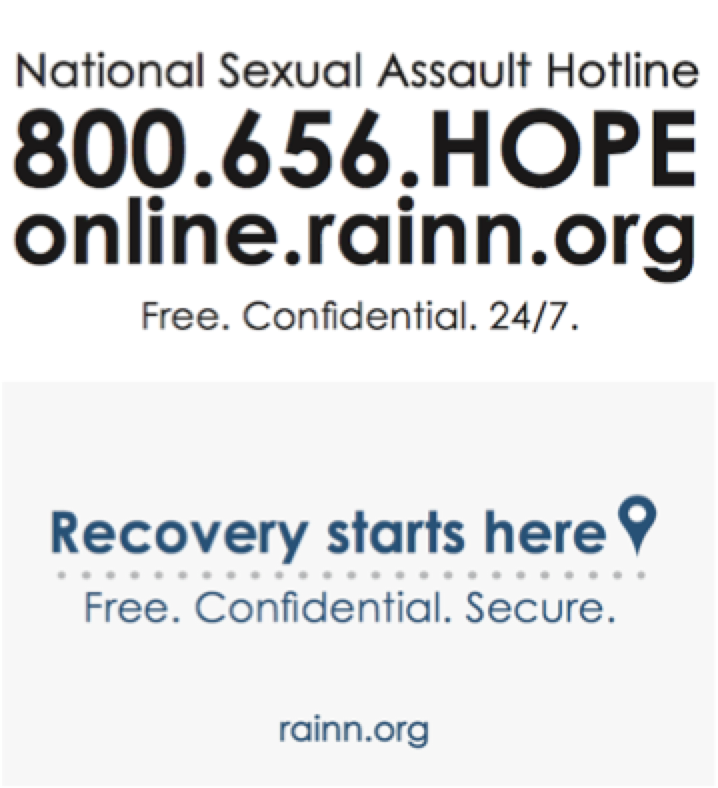 Tips for physical and emotional self-care following a sexual assault.